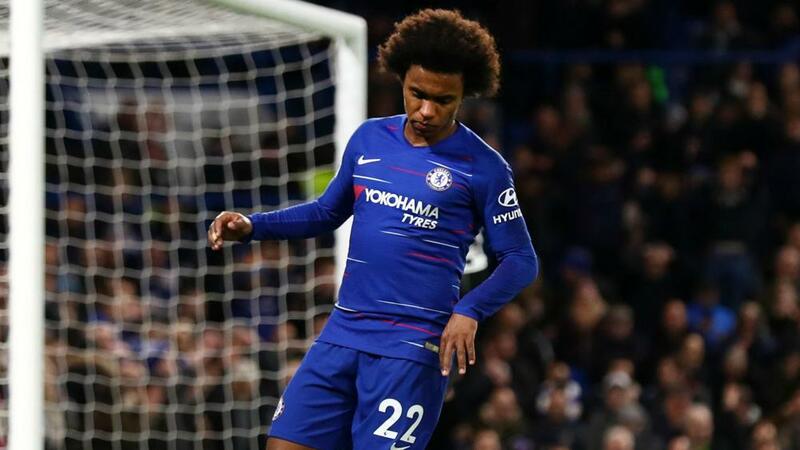 Willian was reportedly targeted by Barca in pre-season and the Brazil international has caught the attention of the Spanish club again, according to speculation. The 30-year-old's future was discussed following Chelsea's 2-1 Premier League victory over Newcastle United on Saturday, in which he scored. When a reporter began to mention the possibility of Willian – whose contract expires in 2020 – only receiving a one-year deal, Sarri cut him short. "Stop, stop, stop. I don't know anything about the Willian contract, but I don't know what to answer," Sarri said during his post-game news conference. "Maybe he has 12 years of contract I don't know. I don't know the detail. You are trying to let me speak about something I don't know." Sarri added: "You know very well that Willian is a very important player for us, as I said yesterday in the news conference. "In my opinion Willian has to stay with us. A very important player, like Pedro. [Callum] Hudson-Odoi is becoming for us a really important player. "With Eden [Hazard] as a striker, we need wingers. So we need Pedro. We need Hudson-Odoi. We need Willian of course. For us he's fundamental."